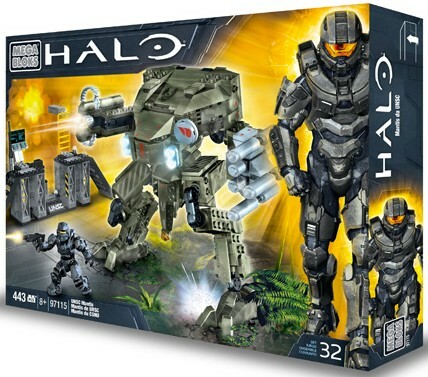 Continuing with our trip down MEGA Bloks memory lane, we've stopped off in 2013 to review a rather impressive set from the Halo range. You can keep your tanks with their tracks and your Warthogs with their wheels; today we're going for a walk thanks to the UNSC Mantis. The figure. So far in our reviews of the MEGA Bloks Halo line we've taken a look at sets that were released after 2014. 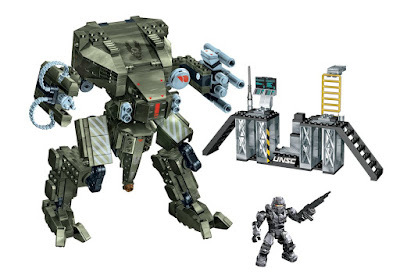 The UNSC Mantis was out before that time, which means it contains one of the older style of Micro Action Figures, in this case a Spartan Warrior with light machine gun. The level of detail in the figure's mould is still great, and so is the paint job, but we can really see why MEGA Bloks updated them - the articulation really isn't great. As you can see, the figure just can't recreate a naturalistic pose like the newer releases, and the arms look oddly dislocated from the torso. Only now, looking back after reviewing many of the newly articulated figures, does this seem weird, but if you're buying this set after building the new stuff, it might come as a shock. Still, he looks cool, is clearly a Spartan, and crucially he can fit into the Mantis to pilot it. Here's the daddy. The UNSC Mantis is definitely the coolest looking Halo set we've yet to build, striking a pose even more awesome than the Phaeton Gunship. There is sooooo much articulation here it is unbelievable, and you can get this thing into a multitude of poses. You can raise and lower the legs while still keeping the head section level, set the feet at many different angles, and position the weapons 'arms' just about anywhere you want. But... as well as getting out first old-style figure in this set, we were also introduced to stickers. This is the first MEGA Bloks set we've reviewed that uses stickers, and just like a LEGO Star Wars set it is daubed in them. Unfortunately (and we're pretty sure MEGA have stopped doing this entirely) some of the stickers are placed over multiple bricks, making it difficult to disassemble the model without tearing them. Still, what stickers there are add an appropriate level of detail (the stripes on the 'thighs', and the small red arrows), and we were glad to see that the canopy section did feature a print of the UNSC crest. The details on the weapons are great, and both the heavy machine gun and the rocket launchers look pretty realistic. There are also representations of lights on the front, what looks like a sensor plate, and plenty of detail on what can only be considered the Mantis' crotch. We love the rubberised belt pieces which seem to feed the gun with ammo. These are the same piece we got in the Flame Warthog, used here in a far more dramatic manner. The canopy flips up to reveal a spacious cockpit for one. That is a moulded seat which is part of the large base section of the head (which also contains subtle feet pedals, just visible above), and a couple of stickers forming a control console. And there's the wee fellow inside, happy as Larry. The figure looks a lot cooler and realistic when installed in the cockpit, so if you really don't like the old figures, just leave him in there. Legs! Complex to build, but by crikey you can set them just about anywhere. They feature ratcheted joints in the ankles, two in each of the knees, and two at the hip. Bear in mind that those joints can be adjusted both up and down AND side-to-side, and you'll see why it is so posable. We found that we had to really concentrate during the construction of the legs, as thanks to MEGA Bloks unique double sided building block, the instructions got a bit confusing. Still, pretty impressive once done. And the terrain. Far more than just a bit of added blocks to up the part count, the extras here included a docking station that the Mantis can actually sit down into, supposedly to get recharged and for the pilot to climb into it. There are two large steps parts, a ladder, a console made with stickers, and a printed UNSC brick up front. It also contains some great chunky bits like those four metallic girder pieces, and a couple dozen silver bricks. ... after which the Spartan can climb up the ladder, onto the small platform, and into the Mantis. This all adds up to lots more value in the set, because if you're not that bothered about displaying or playing with the docking station, you can use the bricks for your own builds - there are some good ones there. And, of course, the test with all two-legged walkers is if it can be balanced on one leg... and the UNSC Mantis certainly can. 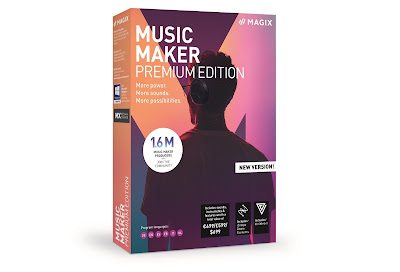 We think he looks as if he's about to kick something. Harrowing. So this incredible set, with tonnes of value, proves that MEGA Bloks have been ticking all the right boxes with their Halo range for several years. Sure, the figure isn't as cool as the new ones, and the stickers-over-multiple-bricks thing is annoying... but just look at this thing. This is what fans always wanted to build after seeing it in the game. Check it out while you can.